This was definitely a shocker. Survivor Series is finally behind us. While the booking of the show was puzzling like most of the WWE Pay-Per-Views, the quality of most of the matches was top notch, for instance, Shinsuke Nakamura and Seth Rollins had a great match, the tag team Survivor Series classic elimination match was fun to watch, the dream fight between Ronda Rousey and Charlotte Flair, and the Cruiserweight Championship between Buddy Murphy and Mustafa Ali was nothing was short of excellent. However, the match of the night was between the Universal Champion Brock Lesnar and the WWE Champion Daniel Bryan. Daniel pushed Brock to his limits but still failed to win the fight. The entire show was like an episode of Monday Night RAW as RAW was the superior brand for all the parts of the show except the kickoff. The event was filled with noteworthy moments like Shane McMahon almost delivering a second coast-to-coast, all crazy spots from the Ali V Murphy match, and many more. Also, there were many blink miss moments throughout the show that you might have missed. Here are 5 things at the Survivor Series pay-per-view. #1 Enzo Amore making an appearance through the crowd. Amore was let go from the company earlier this year. 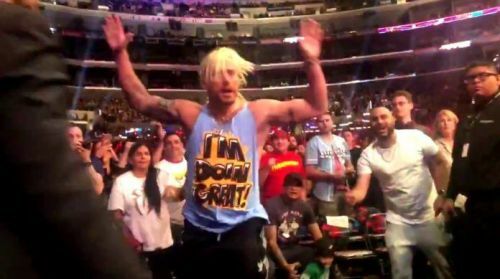 Enzo crashed the Survivor Series event at the Staples Center and got the fans to chant for him at the show in the middle of the Tag Team match between Authors of Pain and The Bar. 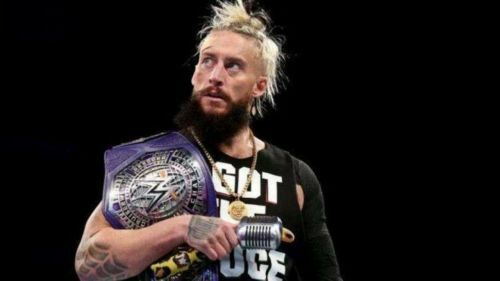 The Staples Center has now banned Enzo from entering the building. This is unprofessional behavior on the part of Enzo. What will the match order be at Royal Rumble 2019?